Step 1 : Combine 3 cups of raw mangoes cut into 1 inch pieces, 1 teaspoon turmeric powder and 2 tablespoons of salt and toss well. Step 2 : Place the mangoes on a sieve, cover with a clean muslin cloth and place under the sun for 4 to 6 hours. 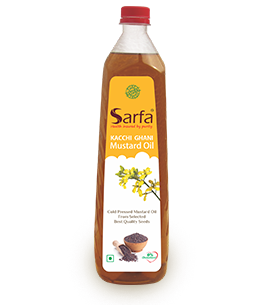 Step 3 : Combine 1/4 cup fennel seeds, coarsely ground, 1 tablespoon split fenugreek seeds, 2 tablespoon split mustard seeds, 1/2 teaspoon nigella seeds, 1/4 teaspoon asafoetida, 2 tablespoon chilli powder, 1/2 cup mustard oil in a bowl and mix well. Step 4 : Add the mangoes and toss well. Step 5 : Bottle the pickle in a sterilised glass jar. Place the pickle under the sun for 4 to 5 days. This pickle can be stored for up to 1 year.